From Tummy To Mummy - the birth doula service that will support you and your partner through your journey into parenthood. Hi! My name is Lauren Mishcon and I am an experienced birth doula based in North London. 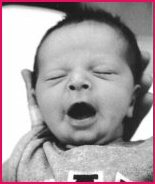 to provide continuity of care and a constant and familiar face throughout the ante natal, labour & birth process.